The team cranked off 3 wins – two close, one relatively commanding – and dropped their two most recent – two at home, against supposed lesser opponents. You know the catalog of complaints: the offense is on the downward slope after a historic 2016 campaign, the defense can only ball out for a half before succumbing to their opponent, the coaching has been subpar, the team blows its leads like Wimpy eats hamburgers – frequently and apologetically. The team is on a peculiar spot – they still have a winning record, have the reset-of-reset opportunities in front of them if they can beat New England next Sunday and a game in the Meadowlands against a better-than-expected-but-not-that-good Jets team to get to 5-2 before the November/December onslaught begins. So, you’re probably wondering – what can these Falcons do to get over their problems before hopes of a Super Bowl return begin to fade in exchange for hopes of just a playoff berth? EVIDENCE: Well, what more do you need? The team has only scored thirty-plus points twice this season, with second-half goose eggs laid the last two at-bats against admittedly-tough Buffalo and Miami front sevens. Matt Ryan’s numbers have taken a sharp dive, with his numbers right now (87.3 total QBR, 112/170 for 1357 yards, 65.9% for completions, 6 TDs, 7.98 avg. per throw, 6 interceptions). WR Julio Jones has recovering from injuries for most, if not all, of the 2017 season. According to Fantasy Guru’s Graham Barfield, his targets (-2.8), receptions (-2.2) and yards-per-game (-35) are all seeing declines. WR Taylor Gabriel has seen a lesser role in OC Steve Sarkisian’s play designs, and the passing game with RBs Devonta Freeman and Tevin Coleman hasn’t nearly been as explosive as it has been. Though, it’s not all that bad. Ryan isn’t struggling with his mechanics as drastically as he did in his first year under Kyle Shanahan. The offensive line has had its ups-and-downs, though it’s still one of the league’s better units. WR Mohamed Sanu seems to be doing pretty well in Sarkisian’s offense, even better than last year. This 2017 offense isn’t historic in any way, shape or form. It’s more problematic, particularly in the second half. It’s not bad, but it’s a far cry from what we were all expecting with this personnel group largely intact. IS IT FIXABLE? To a certain degree, yes. HOW: First off, Sarkisian has to get comfortable in calling a full game. He’s not there yet. There is no fixing that with quick solutions, personnel moves or changing plays around. That’s all on Sark and what he was brought to Atlanta to do. He’s not performing quite to where anyone would like, but we should have seen it coming. He’s green to NFL play calling. He hasn’t done this before. To expect that he was just going to jump carefree into the great blue yonder and score thirty points every game was wanderlust and a fool’s errand. As my colleague Aaron Freeman astutely pointed out, fans (me included) sold ourselves on the “right back where we left off” narrative. Sarkisian has not been a disaster, but he’s been a disaster to unreal expectations. In reality, he’s done about as well as any first-term coordinator usually does. Which is to say, not perfect, not awful, not great, just fine. So, right now, the team may be at the mercies of someone still learning on the job, and that could absolutely put a cramp in the team’s effort to get back to the Super Bowl. Really, the players are at the mercy of their coaching, but they need to be vocal with Sark on what’s working and what’s not so he knows what to better lean on. That 2016 season was magical and will be hard to replicate, but it’s not that difficult to see what worked. The team fed Julio, used Gabriel effectively, relied on Sanu on possession downs and got Freeman and Coleman involved in the passing game. Sark’s going to need to dig back into the 2016 season and really get some of those play designs going again. Otherwise, this offense won’t reach its full potential. The first half against Miami was very impressive – the team put 17 points in two quarters against a Miami defense who was not used to that kind of damage done on them. But they were held scoreless in the second half. The second half is the time when the Falcons’ offense tends to, you know, not be as good, opposed to the third quarter last season, arguably the team’s best period for production then. Sarkisian’s play calling grows more timid as the game goes on – which could be because of what happened the last time a Falcons offensive coordinator got aggressive in the second half. Leaving the past behind is the crux going against this team, and Sark, though new, isn’t immune to that. He’s going to have to trust himself and his more aggressive play calls in the second half if the team is to find success in 2017. It’s his job for the long haul – unless he can’t figure this out through the 2018 season, Sarkisian is going to be in Atlanta for at least the next three season (including this one). It will be on him to right the ship and communicate with the players to see what’s what. Things could come together soon. They could take until 2018 to really get going again. It’s, sad to say, just going to be a waiting game to see when the tide turns. EVIDENCE: The Falcons defense is ironically better than it was last year – the team only letting up an average of 19 points a game, which is a far-cry from the 2016 unit. The team’s main problem in their last two losses has been containing the opponent. In both the Buffalo and Miami games, the opposing team got the Falcons offense out of rhythm with time-gashing third quarter drives (like, you know, in, uhh, the February thing). The Falcons offense thrives when it can get into a rhythm, which it was definitely in on Sunday until the third quarter, when they were forced to get too comfortable as Miami dinked and dunked its way up the field and bled time off the clock. It’s all situational football. The Falcons aren’t statistically a bad defense at all. No, no, this goes deeper – much deeper. It’s about the second half – about getting gassed, about letting mental lapses set in, about, well, blowing leads. The pass rush? It’s better! Once Vic Beasley gets fully back to form after his hamstring tear, it should be even better. The coverage? They’re letting up fewer explosive plays. The penalties? Yeah, you fix those by getting your mind right. We could rattle off numbers here, but it wouldn’t hint to much other than the obvious: the Falcons are letting up too many clock-bleeding drives on defense, and it’s getting the offense out of a rhythm, and with its own problems to tend to, that’s not helping. The Falcons defense is getting shell-shocked in long drives. Memories of February look to be flooding in. Well, that’s really the only way I can rationalize why they keep choking games away. It’s illogical to argue that “it’s the same old Falcons.” It’s not. It’s an unfortunate recurring trend, but these are new players, new coaches, new circumstances. The last two weeks have been the same song: the opposing team lets off these long drives, the teams score, the offenses can’t match, and the Falcons lose. If it’s mental, that’s on Quinn and the veteran leaders to fix. Right now, the Falcons only really have one veteran leader on the defense in Ricardo Allen. The youth movement has brought a lot of great young talents to Atlanta, but the team is short of veteran guys who have “been around the block” and know how to get through all of this. DE Dwight Freeney remains unsigned, and it seems right now that bringing Freeney back from a leadership perspective would be vital. Freeney would definitely help in the wake of Jack Crawford’s injury, but Quinn is letting his team grow on the spot and learn from their mistakes. He’s as forward-thinking as it gets, but for those who want better now, this defense isn’t built to sustain schematic lapses and mental errors. New DC Marquand Manuel is also trying to learn the ropes, which may suggest he needs more time to learn how to fully lead the unit where it needs to be in the second half. By all accounts, this is a talented Falcons defense. But, talent doesn’t win ball games alone. Discipline and prowess absolutely count. Right now, the defense needs more veteran voices to help it grow. One really wonders if a call to Freeney would help this, at least somewhat. One also wonders if this team feels it has a window to meet, if Quinn will become the main play caller once again. If the team believes in Manuel, that’s unlikely, but if upper management isn’t happy with how the defense is playing when Quinn isn’t calling the plays, that could change. But, that figures to be a post-2017 discussion. Manuel will call the shots for the 2017 season, no matter where it goes. So, not as rosy as you’re used to here at Rise Up Reader. The team has systemic issues – it’s adjusting two new play callers, has a lack of veteran leadership on defense and is dealing with the mental mountain of overcoming Super Bowl 51, particularly in the second half. You can make Xs and Os adjustments on offense, bring back Freeney and get Quinn more involved with the defensive coaching if you want short-term fixes. But, the best way forward for Atlanta may be patience – patience to let the bumps be smoothed out, patience to let the coordinators find their footing, patience to let themselves learn to live with 28-3. Patience may be the key for Atlanta to really find their way and live up to the potential 2017 had in store. And, really, patience for 2018 – a year removed from 28-3, a year of experience gained for both coordinators, a year of added experience for the younger players – could emerge as vital if the team isn’t up to making the final push. But, it’s still early, so don’t cancel your hotel room in Minnesota just yet. But, hey, I’m only one guy. 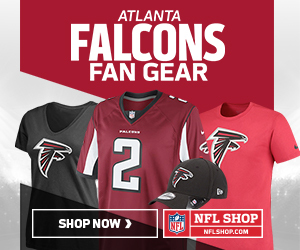 What are your ideas to get the Falcons back on track? It seems to me that it is not just a matter of learning the playbook. Most of these players used these plays last year, but the plays themselves seem to be broken. Shanahan used a lot of redirection on plays to get the right match-ups. I don’t see that happening. Our receivers are just not open. Its like Sark has simplified the plays so much that they are no longer effective. Maybe we could hire Mike Shanahan as a consultant to explain it to Sark.